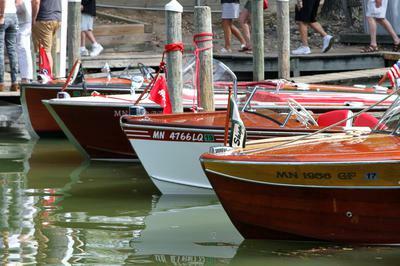 Please join us September 7th and 8th for the Annual Lake Minnetonka Boat Rendezvous. Pre-Show on Friday the 7th, we will cruise Lake Minnetonka, stopping for Lunch and Dinner on the lake. Saturday’s boat show begins at 10am, the show includes numerous sponsor and vendor booths. As well as 60+ boats on display both in the water and on land. Please join us with your boat for a cruise, lunch and Rendezvous dinner on historic Lake Minnetonka Friday, September 7th. Boat Show 10-4 Saturday, September 8th 2018.